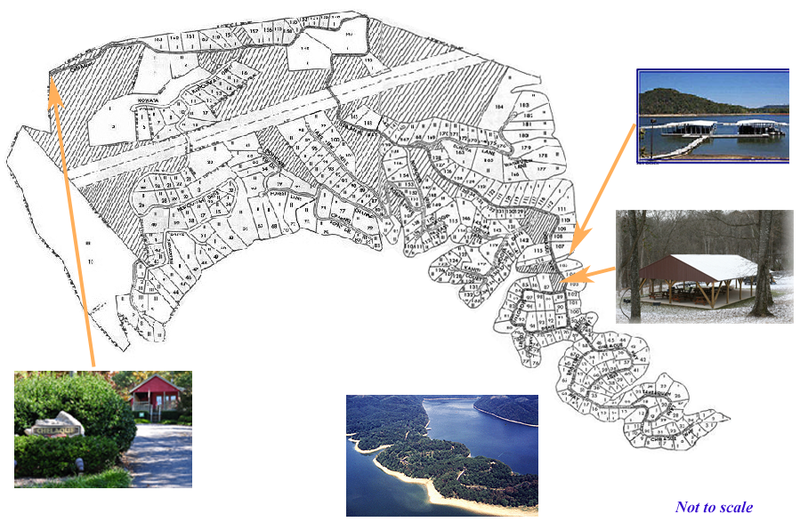 Chelaque Estates is a private gated community overlooking Cherokee Lake in East Tennessee. Home sites range in size from one-half acre to 59 acres. We are within a day's drive of most of the major U.S. cities east of the Mississippi River. Many major interstate highways from all four directions converge into a hub located less than an hour away. McGee Tyson Airport in Knoxville, and the Tri-Cities Regional Airport in Bristol, offer regularly scheduled flights by both domestic and international airlines. Major aviation hubs are located in Nashville, Tn., Atlanta, Ga., and Charlotte, Nc. Private airports service Morristown and Rogersville.